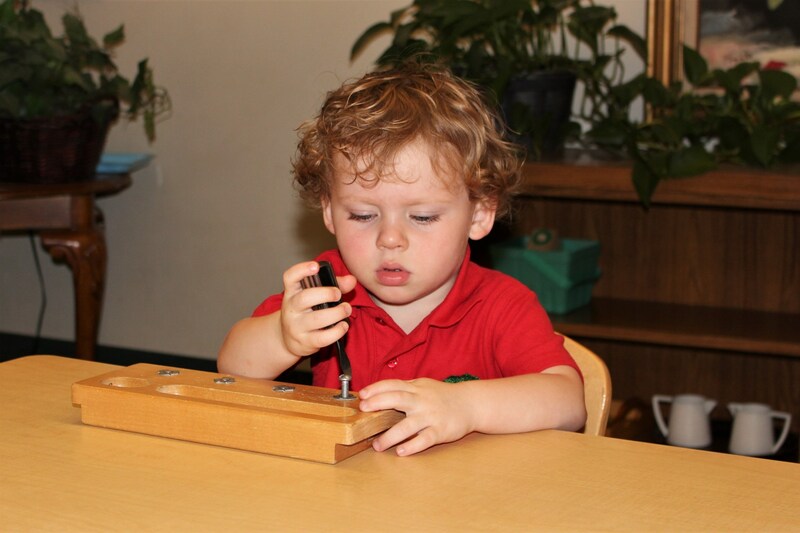 The Montessori environment for toddlers presents a variety of appropriate experiences from which the child can choose freely. 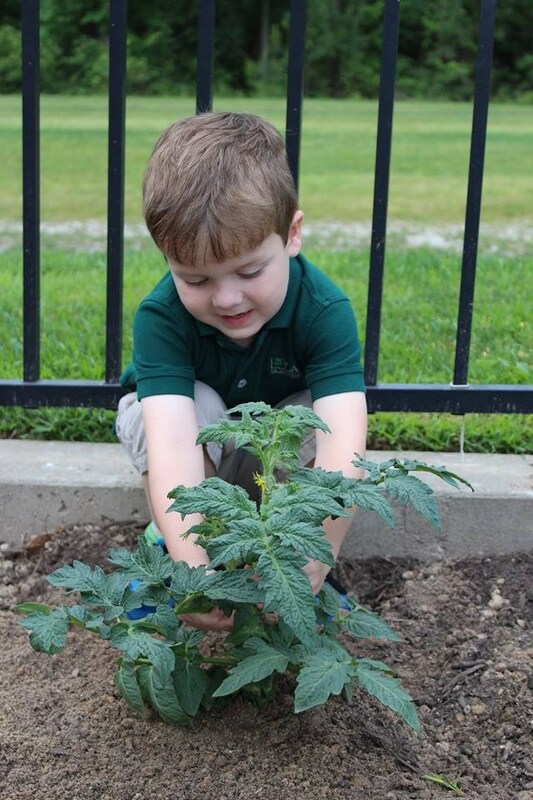 The environment is the child's curriculum! Early in life, a child is stimulated by interesting objects at close range. As they progress, their range expands as they learn to creep around and explore independently. 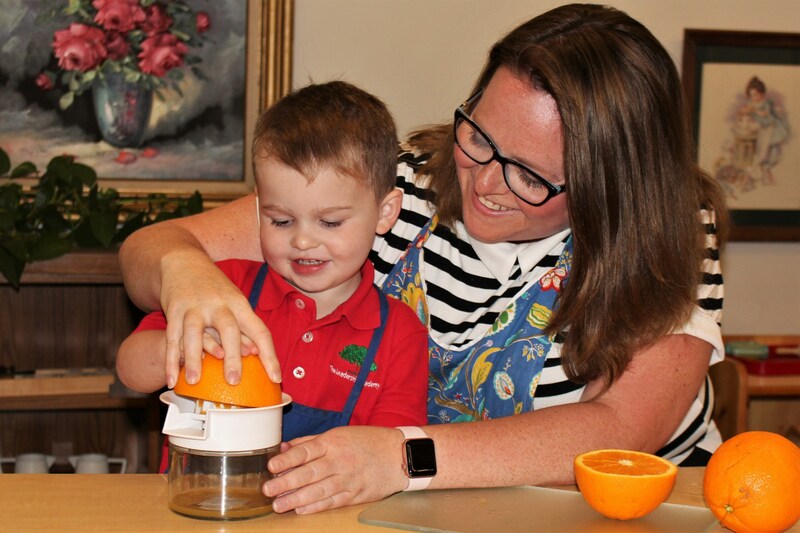 At this level, the prepared environment consists of a wide spectrum of activities and objects which are safe, cognitively stimulating, emotionally satisfying, and developmentally appropriate. The low child-teacher ratio and small class size give children the space to develop. Through discovery and positive reinforcement, the children are motivated to explore the world around them! 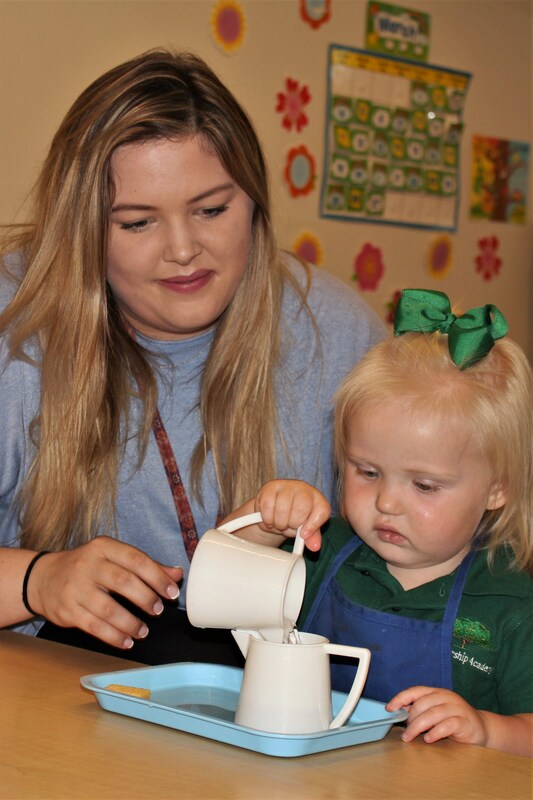 Appropriate activities and experiences allow a child a smooth transition into Kindergarten. Provides practical experiences used in daily life that give independence and control of one's own life such as dressing self, proper hand washing, setting a table, etc. Provides the basic foundation in order to approach more intricate academic exercises. Provides the environment to develop concentration, coordination, and attention to detail such as finishing a task and putting away the materials before beginning a new task. Develops the senses by isolating one defining quality such as color, shape, size, weight, texture, smell, and sound. Helps to find a sense of order which trains the intellect to make order out of various experiences which leads to the process of learning. Introduces the concept of quantity first and then symbols for quantity. Learns concrete mathematical concepts with the operations of addition, subtraction, multiplication, and division, and the materials then lead to the abstract so that understanding has meaning. Experiences teach the student to calculate and provide an understanding of how numbers function. Due to the concrete nature of the materials, the child is able to work with basic concepts of fractions, algebra, and geometry. 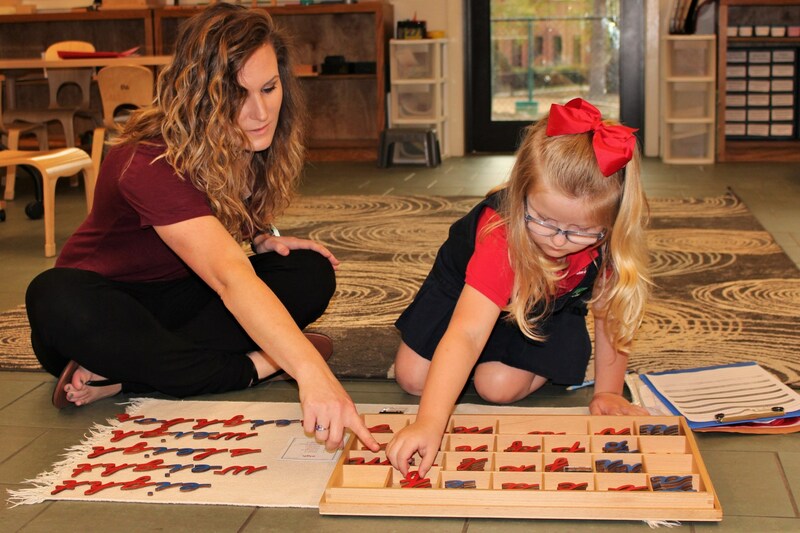 The Montessori-trained child begins reading when ready at any age and continues at his or her own pace. Practical life and sensorial experiences prepare the child for reading. Sandpaper letters provide the sensory touch for phonetic reading. The child hears the sound, sees the shape of the letter, says the letter sound, and trains muscles for writing as the letter is felt. Uses movable letters to build own words on a mat. This material frees the child from the fatigue of writing skills that are still developing and gives the opportunity to pursue interest in words. The child assimilates what is known through the language exercises and then begins to write when developmentally ready. Incorporated in the curriculum as the child works with various topics. Provide material encompassing the three areas that attract the children's sense of wonder and interest in the world around them.